You need to get following our Facebook page! 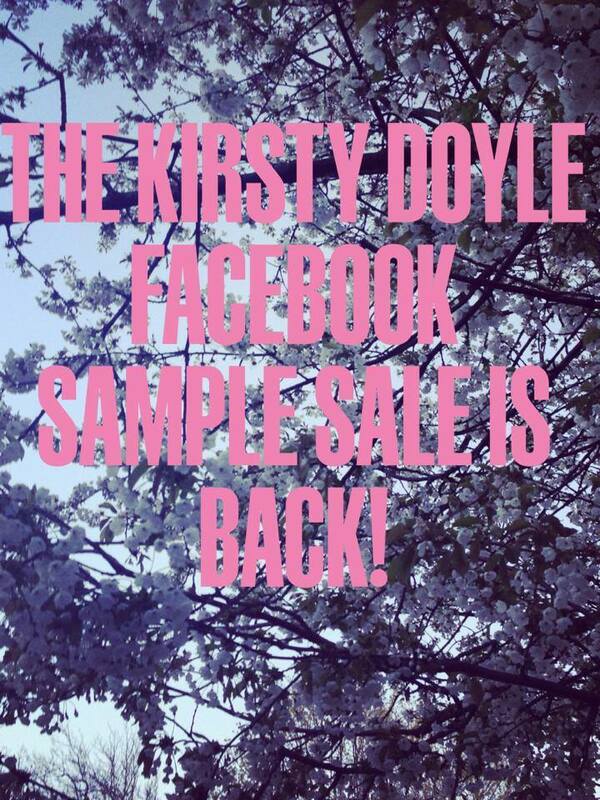 Our annual SAMPLE SALE is back tomorrow. But if you don’t follow our Facebook page you will miss out! There are a range of our AW13 Samples which you can purchase for a fraction of the price. Drop the kids off at school early, grab an espresso and leave the phone off the hook as this sample sale needs your full attention!